STEEM is doing the retest right now! - decision time💗😁steemCreated with Sketch. 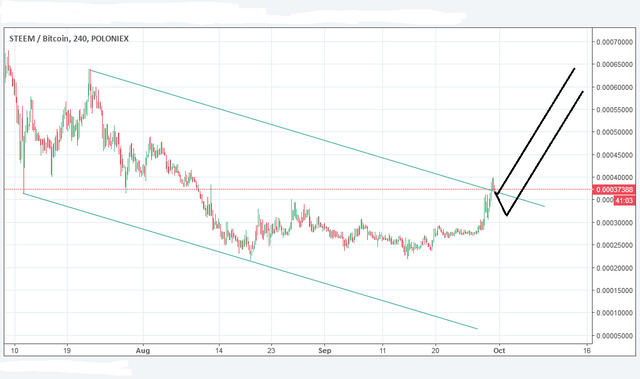 It is now time to decide, will STEEM break out to levels that we have not seem in a long time? I am talking 3-4$ and possibly way more shortly after that. The retest of the last valid downtrend line is happening as I am writing this. This could be the turning point now. There could be a fake down and then the breach of trendline, or an immediate breach, which would be strongly bullish! I don't expect any major drop in the coming months if it happens. There will only be small corrections to buy. You won't get "good" prices to buy in anymore. In german we call this "Fahnenstangenrally" (flagstaffs-rally), which means the market is so bullish, that it does not allow good entry points. SPECIAL OFFER!!! I want more visibility, you want free money. win-win. I'll upvote your comment 100% if you resteem and have 800+ followers. I'll upvote your comment 50% if you resteem and have 400+ followers. I'll upvote your comment 15% if you resteem and have 100+ followers. You need to upvote this post with at least 20%. My 100% upvote is worth approx. 1$ and it will be more soon, now that STEEM is rising. It will be first come, first served. I won't upvote under 80% of my VP. Worst case you might have to wait 24 hours for the upvote. I will change theese numbers, if I can't keep up with the demand! DISCLAIMER: I provide trading ideas using EW and Pattern analysis. The material in this post does not constitute any trading advice whatsoever. This is just the way I see the charts and what my trading ideas are. The author of this post is holding positions in this market at the time of this post. If you make any trades after reading this post it is completely in your responsibility. I am not responsible for any of your losses. By reading this post you acknowledge and accept that. Upvotes will start in the evening. Talk soon. I noticed a trend two days ago. Steem is about to test previous resistance points!!! I'm thinking we can go over $2 this weekend if things stay in track!! Upvoted, resteemed and followed. I always went to look over your posts and I agree with the guy in comments... you wrote a good post, the rest seem to be nice as well. I wasn't around for the golden age when the price was up high like what you're predicting (hoping for) past two dollars. I was wondering if you have a post or one planned about we should view posting at 50/50 or 100 percent or will it make a difference? It will make a difference soon. I don't know exactly when this point is reached, but I think above 2-3 $ powering up 100% is more profitable. I am trying to figure it out with my last two posts beeing 100% powered up. You don't follow me. Read the requirements again. Resteemed. Mainly because its a great article and I am hopeful for the future of steemit. It would be great to see the userbase multiply in the next year and steem to push 5 dollars. I see you voted on my comment. Thanks!! I think it is has a very good chance of breaking out and holding above the breakout level due to the announcement of Smart Media Tokens which has propelled the price over the last couple of days. It is BULL MARKET again! I like that Germans have a word that fully describes current boom at cryptomarkets. There is only up direction and it is so hard to enter in correction spikes. Exciting, especially for those who are already rich in the platform. Excellent information. i m happy that the steem price is growing but i m happy too that the community members go up too. Danke für die Analyse. Heute noch schnell kaufen? Oder Zug verpasst bei Steem? Ich habe vor einer Stunde noch schnell zugeschlagen^^. Auch wenn es mir eigentlich etwas zu teuer war. Musste sein, ich hasse es den Zug verpasst zu haben. Hab auch nochmal etwas investiert. Mal schauen. Power auch erstmal up. Geld geht ja nicht verloren. Oder würdest du es erstmal liegen lassen? Vor 10$ denke ich nichtmal an verkaufen. Kann sich natürlich ändern wenn die Wellen was anderes sagen. This post received a 1.6% upvote from @randowhale thanks to @ew-and-patterns! To learn more, check out @randowhale 101 - Everything You Need to Know! You have been defended with a 18.57 % upvote! 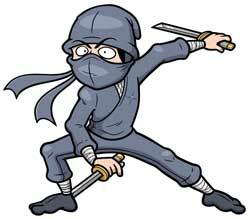 To help keep my Jōki (蒸気) power strong I rely on the townspeople of Sōsharumedia (ソーシャルメディア). I was summoned by: @ew-and-patterns.